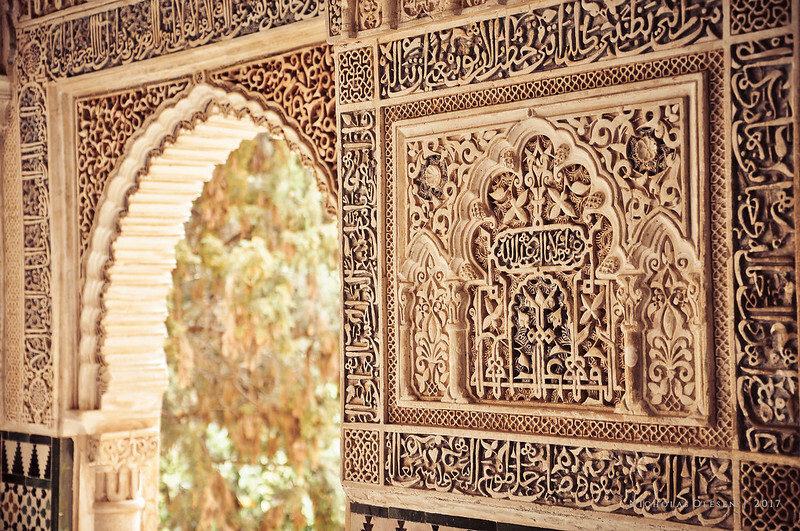 Detail of the carving next to a doorway in the beautiful Alhambra in Granada. Amazing, La Alhambra is beautiful! It certainly is beautiful – thanks for your comment!